Rubin Kazan have been banned from participating in the next UEFA club competition they qualify for over the course of the coming two seasons. UEFA confirmed the punishment in a statement on Thursday, ruling Russian club Rubin will not be allowed to compete in either the Europa League or Champions League for a single season should they qualify this term or next. Europe's governing body has taken action for Rubin breaking a "settlement agreement". 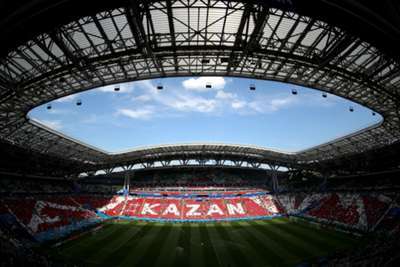 The statement read: "The adjudicatory chamber of the UEFA Club Financial Control Body (CFCB) has taken a decision in the case of the club Rubin Kazan that had been referred to it by the CFCB chief investigator, due to breach of the Settlement Agreement. "The club is excluded from participating in the next UEFA club competition for which it would otherwise qualify in the next two seasons." Settlement agreements are often struck when clubs flout Financial Fair Play (FFP) regulations. UEFA confirmed to Omnisport that Rubin's punishment relates to the breaking of such an agreement which was made in May 2014 after Rubin failed to comply with FFP. Rubin currently occupy the final European berth in the Russian Premier League, the Tatarstan club sitting fifth after 10 matches.